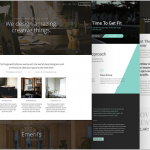 Divi is undoubtedly one of the most powerful WordPress themes out there. Combined with its visual builder, Divi is everything you need to make a stunning website. The article How To Buy & Set Up Divi Theme (With 20% OFF) appeared first on WP Leaders.